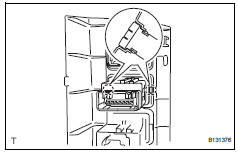 Using a screwdriver, detach the 2 claws and remove the switch. 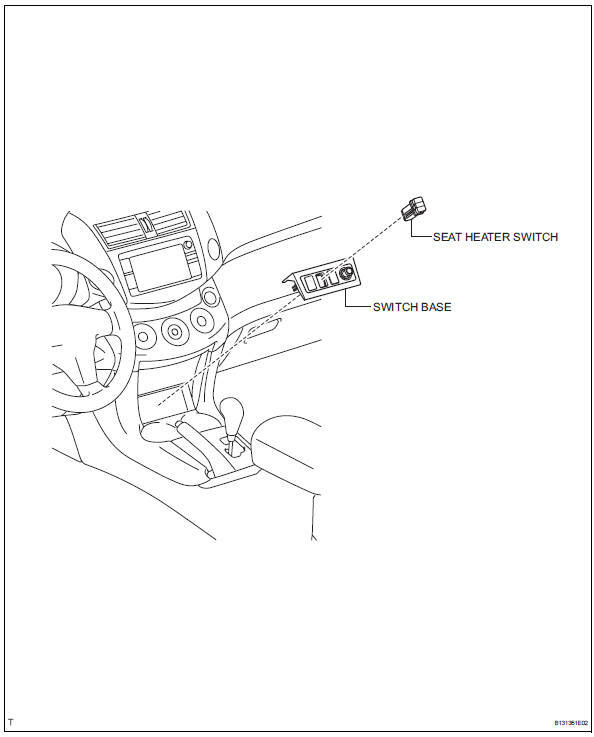 Measure the resistance of the seat heater switch when the switch is operated. 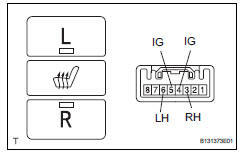 Check that the seat heater switch indicator light illuminates when the switch is operated. 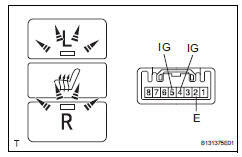 Check that the seat heater switch illuminates.